Fixed gantry crane is often regarded as a lightweight lifting system designed to optimize lifting operations within your workshop, workstation, warehouse, freight yard and so on. 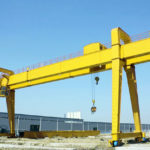 The fixed height gantry cranes come in multiple styles. They can be portable units that make the lifting operations more convenient and flexible, or they can run on tracks mounted on the ground. Unlike the adjustable gantry crane, this fixed gantry crane with I beam is capable of lifting heavier loads and provides increased stability. 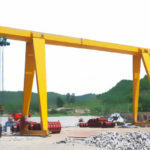 Different forms of fixed height gantry crane are available for your high capacity lifting needs, and most of them can be customized to serve your particular applications. Why Should You Utilize A Fixed Gantry Crane? 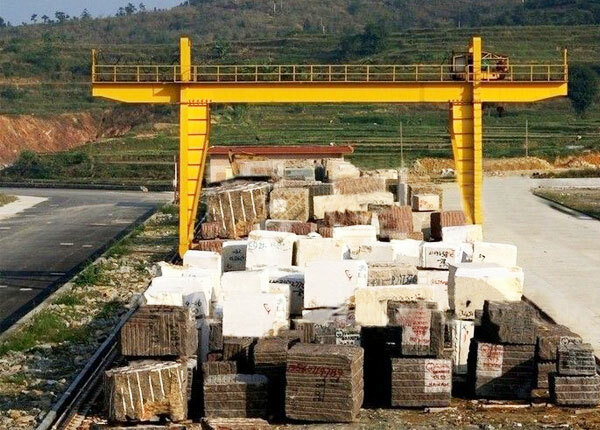 The fixed height gantry crane provides users with various lifting capacities, from small capacity not more than 1 ton to large capacity such as 10 ton, 20 ton, 30 ton, 50 ton and beyond. The type of crane utilizes knockdown construction design, making it easy to transport, assemble and disassemble. 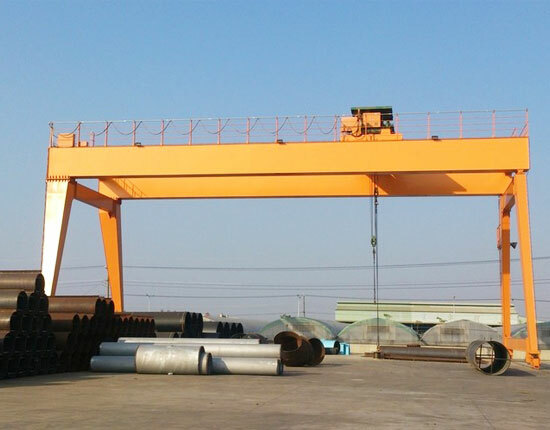 Compared with adjustable height gantry crane, it can increase stability and reliability during lifting movement. The fixed gantry crane is with high utilization, serving multiple workplaces. It makes your lifting of heavy loads more quickly and safely. With a wealth of experience in designing and manufacturing gantry crane, Ellsen provides economical and highly efficient lifting solutions for clients across the country and worldwide to bring a higher level of production to their plants and create the greatest benefits for them. 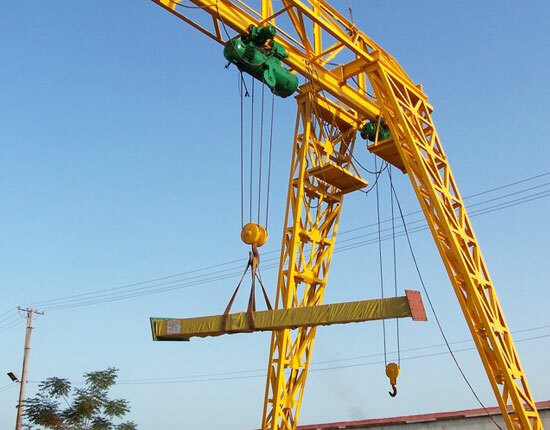 Before looking for a gantry lifting equipment for their applications, it is necessary for them to understand different forms of gantry cranes. The most typical configurations of gantry cranes fall in single girder and double girder. The single beam gantry crane is ideal for getting your light duty lifting jobs done efficiently. It is more often employed in occasions where the workload is not that busy and the lifting capacity is not more than 50 ton. For your heavier or frequent lifting needs, various types of double girder gantry cranes are available for you to choose from. With respect to different working occasions, environmental conditions and types of loads, the double girder crane will be designed and built into particular size and form. A frame gantry crane is a typical style of gantry lifting system, applied in a wide range of applications. 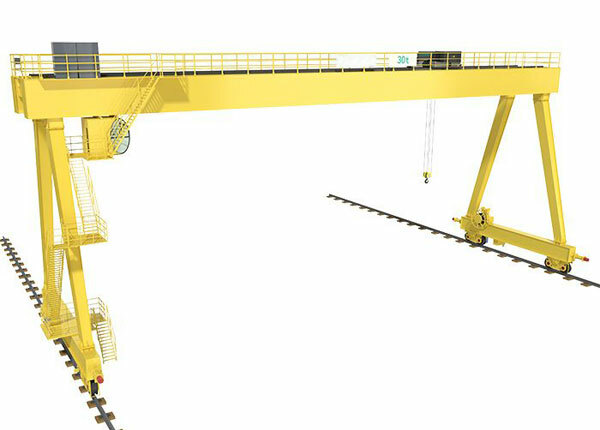 The U frame gantry crane, however, is distinguished by the fact that there is larger space between the two supporting legs, making it perfect to load, unload and transfer large-sized cargoes such as containers to the end of crane cantilevers. If your lifting system is requires to serve multiple workstations or production lines, then mobile gantry crane is a top option for your applications. It provides the key benefits of high mobility and flexibility as it can be wheeled between different locations to server multiple lifting purposes and suit different lifting environments. 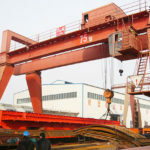 According to the materials of crane construction, the portable gantry cranes can be classified into fixed height steel gantry cranes and aluminum gantry cranes. Each type has its own pros and cons with respect to the work load, environmental condition, easy of use and safety consideration. 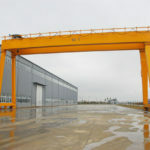 In addition, we offer other types of gantry cranes for different lifting purposes and environments, including truss gantry crane, semi gantry crane, workstation gantry crane, shop gantry crane, garage gantry crane and warehouse gantry crane. To know more about fixed gantry crane, call our sale team or email us. Incorporating the use of several simple mechanisms and components, the fixed gantry crane can be maneuvered within your facility to perform various lifting tasks and accelerate production. 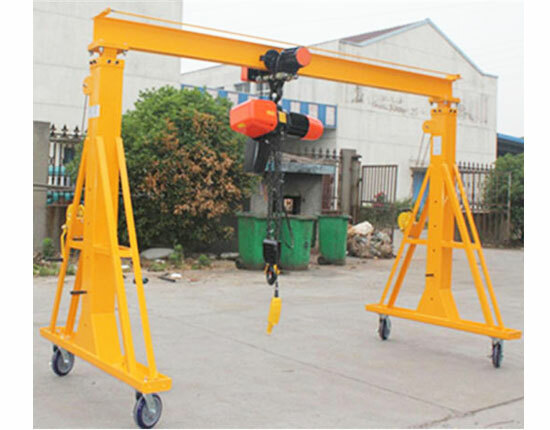 The gantry lifting equipment consists of a few main parts, including gantry frame, trolley mechanism, crane travelling mechanism and electric control system. Gantry frame: it is mainly composed by main beam, end beam, supporting legs and end carriages. This component serves as the main load-bearing member of the crane, used to support the weight of other components as well as the load. When it comes to the design of gantry frame, there are some factors you need to take into consideration. On the one hand, it is necessary to have good and even support at both legs so as to maintain balance of the lifting system. On the other hand, take the resistance into account. It may caused by load swaying or strong wind during lifting operations. Another important factor you cannot neglect in the design of gantry frame is safety. 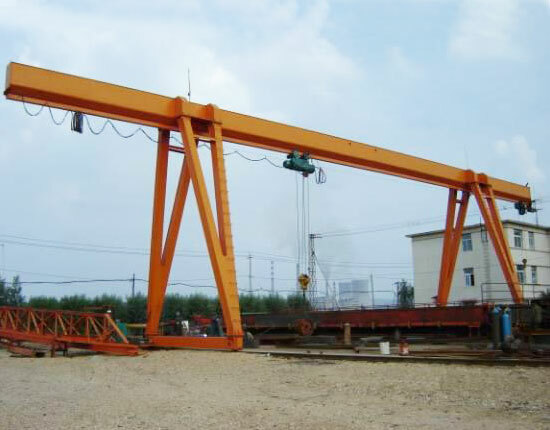 The fixed gantry crane should be designed and built with reasonable and sturdy structure. At the same time, several protection devices are in option to ensure the operating safety. Trolley mechanism: it is the most fundamental part of electric gantry crane as it carries out the main lifting tasks. There are two main parts constituting trolley mechanism. They are hoisting mechanism used for raising and lowering loads and trolley that runs horizontally along gantry crane beam. The hoisting mechanism also includes a hook or other tools like grab, electromagnetic chuck and spreader for different lifting purposes. With regard to the load capacity, working environment and frequency of use, there are two main types of electric hoists for your choice, including wire rope hoist and electric chain hoist. Crane running mechanism: it undertakes a basic task, enabling the operator to move the crane within the working area. 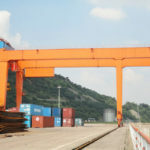 According to the way it moves, the gantry crane can be divided into rail mounted gantry crane and mobile gantry crane in wheel mounted or rubber tyred design. Electric control system: the factor involved in the design of this system includes power unit and the selection of motor. The speed of all mechanisms should be limited to a certain value to avoid load swaying. 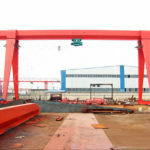 It is of great importance to choose a dependable fixed gantry crane manufacturer and supplier who will offer quality products as well as better services. 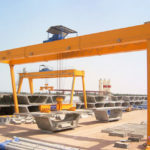 In the selection of gantry crane providers, you need to consider a few things so as to narrow down your list of suppliers, such as the strength of those gantry crane companies, industry experience, authentication and track records. Once narrow down your list, you can focus on your specific needs. 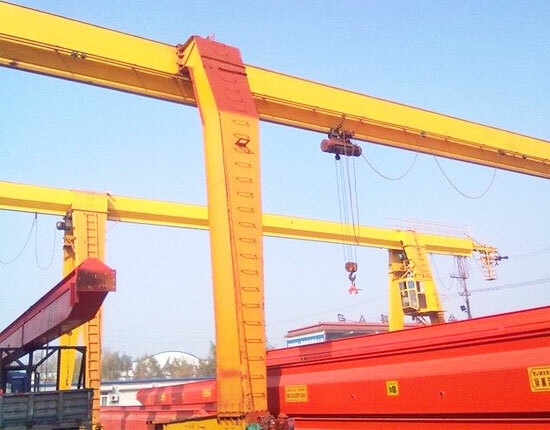 If you have any trouble selecting the fixed gantry crane, contact us directly. We are more than happy to help you choose a proper and affordable lifting solution.